The economic cost of opioid abuse and the opioid crisis adds up quickly. Aside from the cost of treatment, there is the cost of low productivity, last wages, health care, lost tax revenue, and higher spending on social services, education, and imprisonment or parole monitoring. During the last 17 years, these costs add up to more than one trillion dollars and estimates indicate that another 500 billion dollars will be lost through 2020. Also not to be ignored is the human cost of addiction to opioids in terms of family relationships. 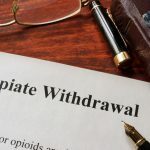 A nonprofit health research and consulting institute called Altarum has examined the various economic costs of the opioid abuse epidemic. Their analysis indicates that more than one trillion dollars have been spent since 2011 and that another 500 billion dollars will be spent by the year 2020. In an article on Axios, the authors point out that the largest share of the economic burden of opioid abuse is paid by people. These personal costs include unemployment, medical care and lost productivity. More than 100 people die every day from opioid overdoses, and their average age is just 41 years old. This points out the human toll of opioid abuse. More than 100 hundred families a day lose a loved one. Over the space of a year, that adds up to more than 36,000 families deprived of a child or worse, a parent. Another large share of the economic cost of opioid abuse comes from lost tax revenue. Many addicts cannot manage to hold a job so they do not earn wages, meaning loss of income tax revenue. It is important, therefore, that the government work to prevent opioid addiction and provide resources for treatment. The costs to respond effectively to the opioid crisis may seem high, but are more than worth it compared to the improved wages, productivity and tax revenue to be gained. More important is the benefit to the families of persons who are abusing opioids. CNBC.com reported on the analysis produced by Altarum. They point out that President Trump’s budget requests include 17 billion dollars to be spent on addressing the opioid crisis. The economic and personal costs of opioid abuse are very high. The costs of treatment, lost wages, lost tax revenue and medical care are rising quickly. Progress can be made in the prevention and treatment of persons addicted to opioids. Both government and community organizations must work together if progress is to be made. Altarum’s report indicates three policy recommendations. Prevention efforts involve training clinicians in the appropriate use of opioids, educating clinicians involved in high numbers of prescriptions and educating insurance companies to erect financial barriers to accessing the drugs. Opioid treatment efforts involve reform in payment and delivery of opioids and reforming barriers to treatment. Recovery efforts involve engaging with local support services. Over the time span of 17 years, the economic costs of the opioid crisis rose to more than one trillion dollars. Half that amount, 500 billion dollars, is the projected economic cost of opioid abuse in just a couple of years. This gives us an idea of how quickly the economic cost of opioid abuse is rising. The personal costs of opioid abuse are staggering as well. Any attempt to respond to this problem must involve cooperation and collaboration among government entities, community organizations, schools and clinicians. Piecemeal efforts just aren’t going to solve the problem. It is time for all interested parties to work together to combat opioid addiction. Does Blue Cross and Blue Shield Pay for Alcohol Rehab?